One gorgeous woman fell in love with this coat last nite ! 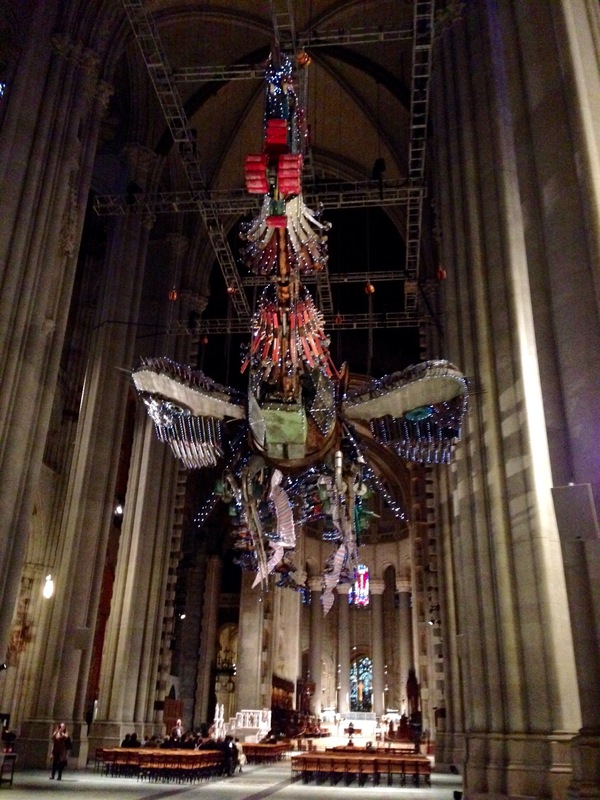 And while you are up here, take in this beautiful installation by Xu Bing, “Phoenix”. Very inspiring! We had a great show at the Philadelphia Museum of Art Craft Show. Pleased once again this year that our work appealed to women in their twenties thru their eighties, who want to be stylish as well as warm, makes us feel like we are staying current as well as classic. Thank-you all who purchased, and with this fall freeze I am sure you are happy. 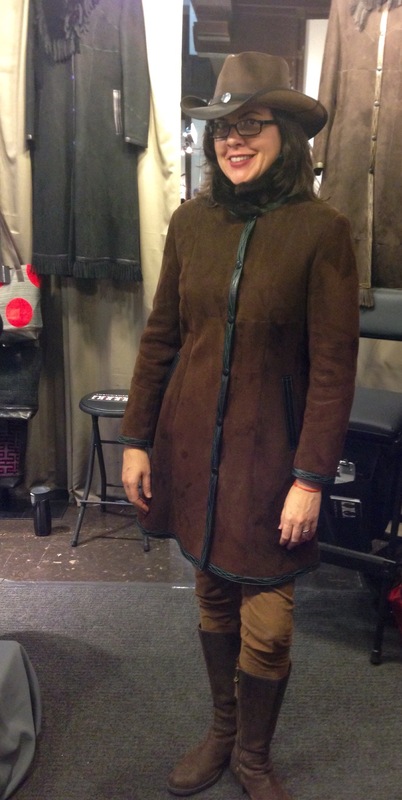 If you had your eye on a piece, it may not be too late so give me a call 212.475.8324 or email me! So many interesting people come to the show as well. 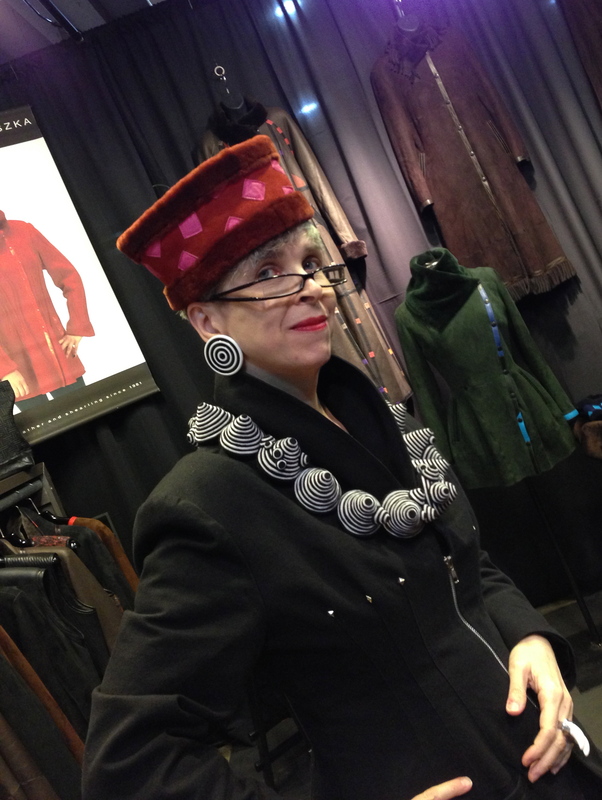 Here is Valerie of Idiosyncratic Fashionistas trying on one of our shearling head pieces! Next up for us is a new show to our schedule, in NEW YORK CITY! 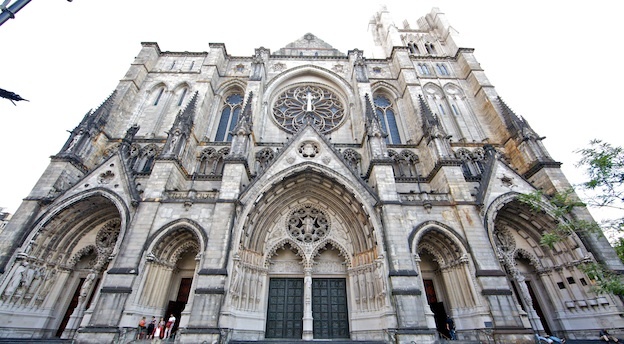 A fundraiser for the historic Cathedral of St. John the Divine, Dec 5th, 6th, and 7th. Also catch the exhibit of the Phoenix by Xu Bing, on view thru the end of the year. We are really excited for this one…….Stay tuned for more info!